Sat on a tree together. And there they’ll stay till Spring. It’s easy for birds to escape the Autumn chill, they just fly off to warmer places! What about us people? Unless you’re one of the lucky ones finding a few days in the sun on a far-flung holiday, your thoughts are likely to be about switching the heating on! Energy these days is a ‘hot topic’ (no pun intended!) Whether it’s who is providing it or how it’s generated – wind, wave, nuclear or by fossil fuels – one thing is for certain, it costs us money to heat our homes. So it makes sense that we want as much of that heat stay in our home and not be lost to the outside. Losing heat can happen for a number of reasons, for example, insufficient roof and wall insulation, but one of the main ways that heat disappears is through ill-fitting windows and doors. So if you can feel a draught or hear the wind whistling around the frames, then you can be certain that it’s the sound of the cold coming in and at the same time, your hard-earned money going out. In fact, according to the Energy Saving Trust www.energysavingtrust.org.uk around 20% of heat is lost through windows and doors. So what can you do about it? 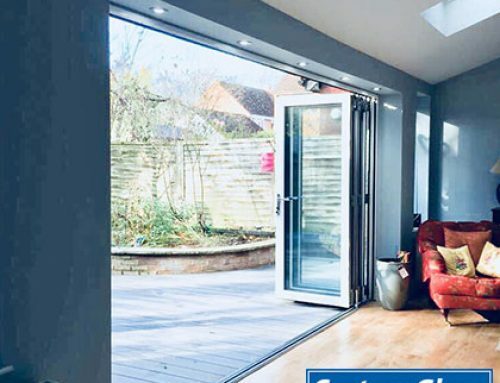 Well, there are government schemes available to help with insulating your home which can include windows and doors (subject to qualification). Or you could go for the low-cost solution from your local DIY store – draught sealing strips that come on a roll and that you stick around the frames. 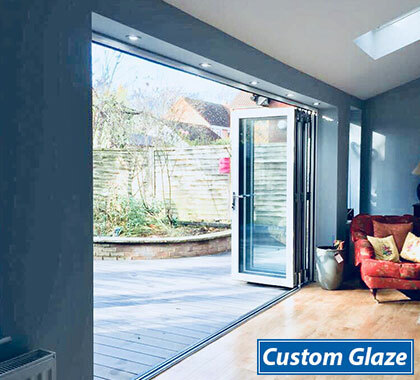 This can help to minimise draughts but if your windows are single glazed, it won’t help to avoid heat loss through the window panes themselves. 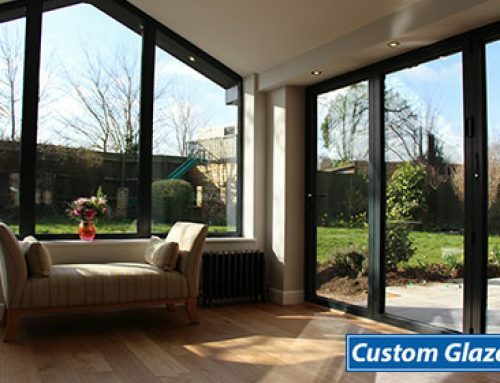 The optimum solution is to replace your windows and doors which will not only conserve energy, it also brings other valuable benefits, for example, improved security, outside noise reduction, very low maintenance and adding value to your property. 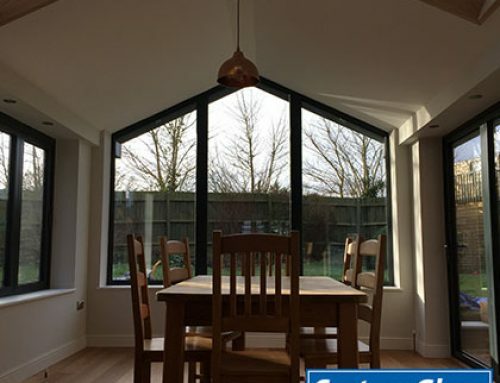 Double glazed windows have two sheets of glass with a gap in between, usually about 16mm to create an insulating barrier that keeps heat in. This is sometimes filled with gas. Triple glazed windows have three sheets of glass, but aren’t always better than double glazed windows. To choose the most energy efficient window, look for the BFRC rating. The majority of reputable window manufacturers and suppliers show the energy efficiency of their products using an energy-rating scale from A++ to E. The whole window (the frame and the glass) is assessed on its efficiency at retaining heat. 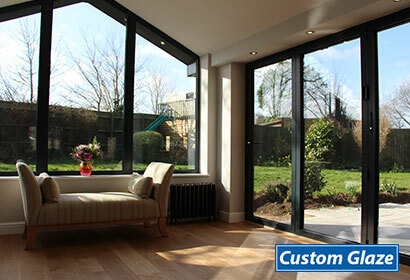 The scheme is run by the British Fenestration Rating Council (BFRC). 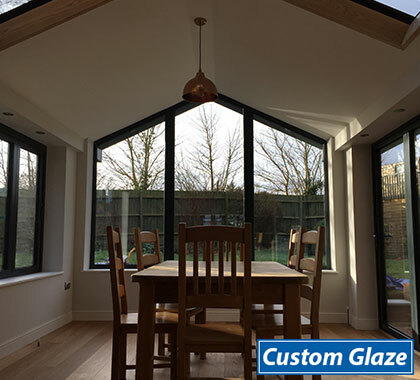 At Custom Glaze we fit A+ as standard unlike some other companies who charge extra for this. 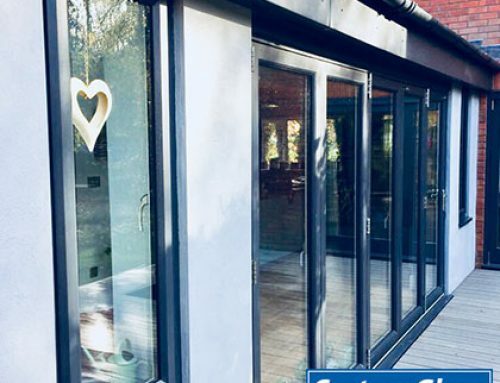 Not only that, the thermal efficiency of our windows achieves a rating almost equivalent to that of a triple glazed window but without the need for bulky hinges to take the weight – so they’re a great choice! How many times do we say or hear someone telling us to shut the door as there’s a draught coming through? Fair enough if the front or back door is open but what about feeling a draught when the door IS shut? Just like windows, a draught is a sure sign that you are losing money straight out of the door. 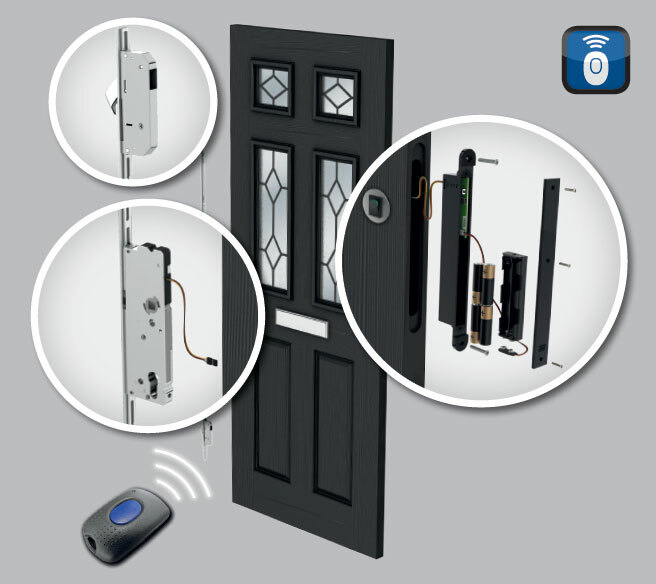 Did you know that a gap of just 3.1mm around a door threshold can be the equivalent of a gaping 63.5mm hole in the wall? Quite often because we can’t see small gaps, we tend to not notice them but if you think of it a hole in the wall, then it certainly gives a different perspective! This is why well-fitting doors are hugely important. Not only that, the way the door is constructed will make all the difference. 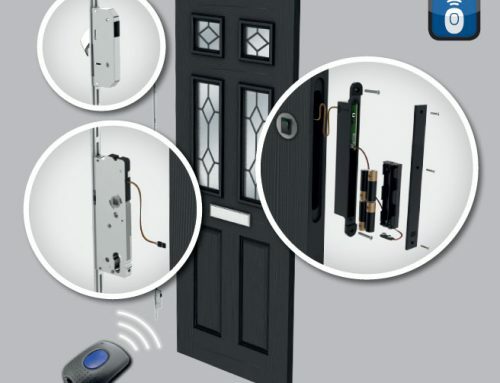 Although wooden doors are aesthetically pleasing, they don’t offer the same high level of insulation that the latest composite doors provide, so it’s important to take that into consideration when choosing a new front or back door for your home. 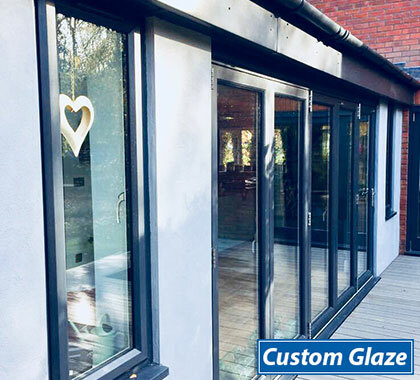 The range of composite doors at Custom Glaze not only provide a beautiful entrance to any home, they also (and perhaps most importantly) provide a very high level of security and, of course, they totally eliminate any draughts. We can see from the lovely Autumn colours on the trees, misty morning and that chill in the air, that nature is telling us to prepare for the colder months ahead. So when we dig out the woolly jumpers and dust off the winter coat to keep ourselves warm, consider how you make your home warm and cosy so you can enjoy the winter months in comfort and save money on those energy bills!